The JioFi device which helps users to use JIO 4G on 3G or 2G Phones is available for a price of INR 999 now. The Price was INR 1,5999 Earlier. This price cut is available on the local JIO stores too as Festive offer for the Prime members (The JIO website says from September 20 –30). If your local retailer says the amount higher than 999 today, wait , the communication is circulating. Remember the device will not have any SIM, you will have to contact local retailer to get a JIO SIM to use with this. We are also not sure on special plans available for the JIO Fi users. Another Jio Offer which offer Free data worth INR 1999, is available for INR 1999 now. This was available for INR 2499.
unlimited voice + 2GB data + 300 SMS every 28 days for 12 recharge cycles. unlimited voice + 1GB data/day +100 SMS/day every 28 days for 6 recharge cycles. unlimited voice + 2GB data/day +100 SMS/day every 28 days for 4 recharge cycles. 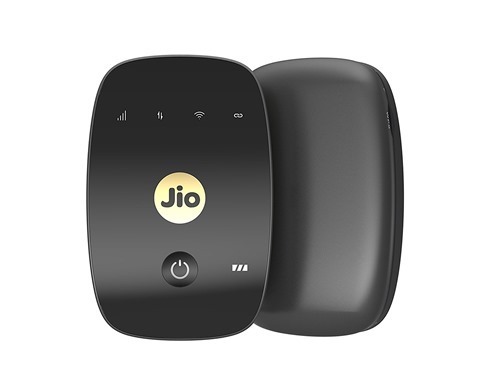 Get JioFi M2S 150Mbps Wireless 4G Portable Data + Voice Device for just INR 999. Get OnePlus One Sandstone Black for just INR 17,999.